Partnerships offer opportunities to capture unique competitive advantages, by gaining scale and speed – pooling resources – and by developing unique assets – acquiring new capabilities. Building closer ties, particularly across industries, requires dealing with physical as well as cultural distance and being able to leverage innovation intermediaries, clusters and communities. Open innovation is about systematically reaching out in order to better identify, develop and/or implement innovation opportunities with partners and outsiders. Effectively managing innovation across corporate boundaries requires dedicated skills and capabilities, particularly regarding the identification and selection of the right partners and the design and implementation of the right partnerships. (Book) Chesbrough, H. W. (2006). Open innovation: The new imperative for creating and profiting from technology. Harvard Business Press. (Book) Samson, D., Terziovski, M., & Lai, A. (2005). Intellectual property strategy and business strategy: connections through innovation strategy. Intellectual Property Research Institute of Australia. (Article) Belderbos, R., Carree, M., & Lokshin, B. (2004). Cooperative R&D and firm performance. Research Policy, 33(10), 1477-1492. (Article) Brouthers, K. D., Brouthers, L. E., & Wilkinson, T. J. (1995). Strategic alliances: Choose your partners. Long Range Planning, 28(3), 2-25. (Article) Capaldo, A. (2007). Network structure and innovation: The leveraging of a dual network as a distinctive relational capability. Strategic Management Journal, 28(6), 585-608. (Article) Cassiman, B., Colombo, M. G., Garrone, P., & Veugelers, R. (2005). The impact of M&A on the R&D process: An empirical analysis of the role of technological-and market-relatedness. Research Policy, 34(2), 195-220. (Article) Cheng, C.C., & Huizingh, E.K. (2014). When is open innovation beneficial? The role of strategic orientation. Journal of Product Innovation Management, 31(6), 1235-1253. (Article) Chesbrough, H. W. (2007). Why companies should have open business models. MIT Sloan Management Review, 48(2), 22. (Article) Colombo, M. G., Grilli, L., & Piva, E. (2006). In search of complementary assets: The determinants of alliance formation of high-tech start-ups. Research Policy, 35(8), 1166-1199. (Article) Cygler, J., & Sroka, W. (2017). Coopetition disadvantages: The case of the high tech companies. Eng. Econ, 28, 494-504. (Article) De Man, A. P., & Duysters, G. (2005). Collaboration and innovation: a review of the effects of mergers, acquisitions and alliances on innovation. Technovation, 25(12), 1377-1387. (Article) Dyer, Jeffrey H., and Harbir Singh. “The relational view: Cooperative strategy and sources of interorganizational competitive advantage.” Academy of Management Review 23.4 (1998): 660-679. (Article) Emden, Z., Calantone, R. J., & Droge, C. (2006). Collaborating for new product development: selecting the partner with maximum potential to create value. Journal of Product Innovation Management, 23(4), 330-341. (Article) Faems, D., Van Looy, B., & Debackere, K. (2005). Interorganizational collaboration and innovation: Toward a portfolio approach. Journal of Product Innovation Management, 22(3), 238-250. (Article) Gassmann, O., Enkel, E., & Chesbrough, H. (2010). The future of open innovation. R&D Management, 40(3), 213-221. (Article) George, G., Zahra, S. A., & Wood Jr, D. R. (2002). The effects of business–university alliances on innovative output and financial performance: a study of publicly traded biotechnology companies. Journal of Business Venturing, 17(6), 577-609. (Article) Gilsing, V. A., & Duysters, G. M. (2008). Understanding novelty creation in exploration networks—structural and relational embeddedness jointly considered. Technovation, 28(10), 693-708. (Article) Grimpe, C., & Hussinger, K. (2008). Pre-empting technology competition through firm acquisitions. Economics Letters, 100(2), 189-191. (Article) Gronum, S., Verreynne, M.L., & Kastelle, T. (2012). The role of networks in small and medium‐sized enterprise innovation and firm performance. Journal of Small Business Management, 50(2), 257-282. (Article) Hennart, J. F. (1988). A transaction costs theory of equity joint ventures. Strategic Management Journal, 9(4), 361-374. (Article) Hohberger, J., Almeida, P., & Parada, P. (2015). ‘The direction of firm innovation: The contrasting roles of strategic alliances and individual scientific collaborations’. Research Policy, 44, 1473-1487. (Article) Kanter, R. M. (1994). Collaborative advantage. Harvard Business Review, 72(4), 96-108. (Article) Lavie, D. (2006). The competitive advantage of interconnected firms: An extension of the resource-based view. Academy of Management Review, 31(3), 638-658. (Article) Lee, S. M., Olson, D. L., & Trimi, S. (2012). Co-innovation: convergenomics, collaboration, and co-creation for organizational values. Management Decision, 50(5), 817-831. (Article) Lin, Z., Yang, H., & Arya, B. (2009). Alliance partners and firm performance: resource complementarity and status association. Strategic Management Journal, 30(9), 921-940. (Article) Mahmood, I., Zhu, H., & Zajac, E. (2011). ‘Where can capabilities come from? Network ties and capability acquisition in business groups’. Strategic Management Journal, 32, 820-848. (Article) McEvily, B., & Zaheer, A. (1999). ‘Bridging ties: a source of firm heterogeneity in competitive capabilities’. Strategic Management Journal, 20, 1133-1156. (Article) Phelps, C. (2010). ‘A longitudinal study of the influence of alliance network structure and composition on firm exploratory innovation’. The Academy of Management Journal, 53, 890-913. (Article) Rigby, D., & Zook, C. (2002). Open-market innovation. Harvard Business Review, 80(10), 80-93. (Article) Ritter, T., & Gemünden, H. G. (2003). Network competence: Its impact on innovation success and its antecedents. Journal of Business Research, 56(9), 745-755. (Article) Sampson, R. (2007). ‘R&D Alliances and Firm Performance: The impact of Technological Diversity and Alliance Organization on Innovation’. The Academy of Management Journal, 50, 364-386. (Article) Stuart, T. E. (2000). Interorganizational alliances and the performance of firms: A study of growth and innovation rates in a high-technology industry. Strategic Management Journal, 791-811. (Article) Van de Vrande, V., De Jong, J.P., Vanhaverbeke, W., & De Rochemont, M. (2009). Open innovation in SMEs: Trends, motives and management challenges. Technovation, 29(6), 423-437. (Article) West, J., & Bogers, M. (2014). 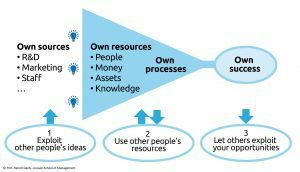 Leveraging external sources of innovation: a review of research on open innovation. Journal of Product Innovation Management, 31(4), 814-831. (Article) Zaheer, A., & Bell, G. (2005). ‘Benefiting from network position: firm capabilities, structural holes, and performance’. Strategic Management Journal, 26, 809-825. (Book) Chesbrough, H., Vanhaverbeke, W., & West, J. (Eds.). (2014). New frontiers in open innovation. Oup Oxford. (Article) Ahuja, G. (2000a). ‘Collaboration networks, structural holes, and innovation: a longitudinal study’. Administrative Science Quarterly, 45, 425-455. (Article) Allen, J., James, A. D., & Gamlen, P. (2007). Formal versus informal knowledge networks in R&D: a case study using social network analysis. R&D Management, 37(3), 179-196. (Article) Amin, A., & Roberts, J. (2008). ‘Knowing in action: Beyond communities of practice’. Research Policy, 37, 353-369. (Article) Beckman, C.M., & Haunschild, P.R. (2002). Network learning: The effects of partners’ heterogeneity of experience on corporate acquisitions. Administrative Science Quarterly, 47(1), 92-124. (Article) Biemans, W. G. (1990). The managerial implications of networking. European Management Journal, 8(4), 529-540. (Article) Borgatti, S. P., & Halgin, D. S. (2011). On network theory. Organization Science, 22(5), 1168-1181. (Article) Brouthers, K. D., & Brouthers, L. E. (2001). Explaining the national cultural distance paradox. Journal of International Business Studies, 32(1), 177-189. (Article) Brown, J.S., & Duguid, P. (1991). Organizational learning and communities-of-practice: Toward a unified view of working, learning, and innovation. Organization Science, 2(1), 40-57. (Article) Cassiman, B., & Veugelers, R. (2002). R&D cooperation and spillovers: some empirical evidence from Belgium. American Economic Review, 92(4), 1169-1184. (Article) Chua, R., Roth, Y., & Lemoine, J. (2015). ‘The Impact of Culture on Creativity: How Cultural Tightness and Cultural Distance Affect Global Innovation Crowdsourcing Work’. Administrative Science Quarterly, 60, 189-227. (Article) Cowan, R., Jonard, N., & Zimmermann, J. B. (2007). Bilateral collaboration and the emergence of innovation networks. Management Science, 53(7), 1051-1067. (Article) Dahlander, L., & McFarland, D. A. (2013). Ties that last: Tie formation and persistence in research collaborations over time. Administrative Science Quarterly, 58(1), 69-110. (Article) Dahlander, L., O’Mahony, S., & Gann, D.M. (2016). ‘One foot in, one foot out: how does individuals’ external search breadth affect innovation outcomes?’. Strategic Management Journal, 37, 280-302. (Article) De Silva, M., Howells, J., & Meyer, M. (2018). Innovation intermediaries and collaboration: Knowledge–based practices and internal value creation. Research Policy, 47(1), 70-87. (Article) Dittrich, K., & Duysters, G. (2007). Networking as a means to strategy change: the case of open innovation in mobile telephony. Journal of Product Innovation Management, 24(6), 510-521. (Article) Duplat, V., & Lumineau, F. (2016). Third parties and contract design: The case of contracts for technology transfer. Managerial and Decision Economics, 37(6), 424-444. (Article) Enkel, E., & Gassmann, O. (2010). Creative imitation: exploring the case of cross‐industry innovation. R&D Management, 40(3), 256-270. (Article) Freeman, C. (1991). Networks of innovators: a synthesis of research issues. Research Policy, 20(5), 499-514. (Article) Gawer, A. (2014). Bridging differing perspectives on technological platforms: Toward an integrative framework. Research Policy, 43(7), 1239-1249. (Article) Gawer, A., & Cusumano, M. A. (2014). Industry platforms and ecosystem innovation. Journal of Product Innovation Management, 31(3), 417-433. (Article) Glückler, J., & Armbrüster, T. (2003). Bridging uncertainty in management consulting: The mechanisms of trust and networked reputation. Organization Studies, 24(2), 269-297. (Article) Granovetter, M. S. (1973). The strength of weak ties. American Journal of Sociology, 78(6), 1360-1380. (Article) Granovetter, M. (1985). Economic action and social structure: The problem of embeddedness. American Journal of Sociology, 91(3), 481-510. (Article) Guan, J., & Liu, N. (2016). ‘Exploitative and exploratory innovations in knowledge network and collaboration network: A patent analysis in the technological field of nano-energy’. Research Policy, 45, 97-112. (Article) Gulati, R., Nohria, N., & Zaheer, A. (2000). Strategic networks. Strategic Management Journal, 203-215. (Article) Howells, J. (2006). Intermediation and the role of intermediaries in innovation. Research Policy, 35(5), 715-728. (Article) Hutter, K., Hautz, J., Füller, J., Mueller, J., & Matzler, K. (2011). Communitition: The tension between competition and collaboration in community‐based design contests. Creativity and Innovation Management, 20(1), 3-21. (Article) Ilbert, O., & Müller, F. (2015). ‘Network dynamics in constellations of cultural differences: Relational distance in innovation process in legal services and biotechnology’. Research Policy, 44, 181-194. (Article) Jeppesen, Lars Bo, and Karim R. Lakhani. “Marginality and problem-solving effectiveness in broadcast search.” Organization Science 21.5 (2010): 1016-1033. (Article) Knoben, J., & Oerlemans, L. A. (2006). Proximity and inter‐organizational collaboration: A literature review. International Journal of Management Reviews, 8(2), 71-89. (Article) Kogut, B., & Singh, H. (1988). The effect of national culture on the choice of entry mode. Journal of International Business Studies, 19(3), 411-432. (Article) Lee, S., Park, G., Yoon, B., & Park, J. (2010). Open innovation in SMEs—An intermediated network model. Research Policy, 39(2), 290-300. (Article) Levin, D.Z., & Cross, R. (2004). The strength of weak ties you can trust: The mediating role of trust in effective knowledge transfer. Management Science, 50(11), 1477-1490. (Article) Li, Y., & Vanhaverbeke, W. (2009). The effects of inter-industry and country difference in supplier relationships on pioneering innovations. Technovation, 29(12), 843-858. (Article) Malerba, F. (2002). Sectoral systems of innovation and production. Research Policy, 31(2), 247-264. (Article) Mandell, M., & Steelman, T. (2003). Understanding what can be accomplished through interorganizational innovations The importance of typologies, context and management strategies. Public Management Review, 5(2), 197-224. (Article) Pisano, G. P., & Verganti, R. (2008). Which kind of collaboration is right for you. Harvard Business Review, 86(12), 78-86. (Article) Pittaway, L., Robertson, M., Munir, K., Denyer, D., & Neely, A. (2004). 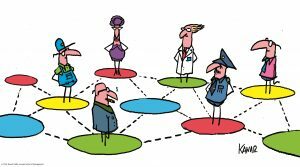 Networking and innovation: a systematic review of the evidence. International Journal of Management Reviews, 5(3‐4), 137-168. (Article) Powell, W., Koput, K., & Smith-Doerr, L. (1996). ‘Interorganizational collaboration and the locus of innovation: networks of learning in biotechnology’. Administrative Science Quarterly, 41, 116-145. (Article) Powell, W., Koput, K., White, D., & Owen-Smith, J. (2005). ‘Network dynamics and field evolution: The growth of interorganizational collaboration in the life sciences’. American Journal of Sociology, 110, 1132-1205. (Article) Provan, K. G., Fish, A., & Sydow, J. (2007). Interorganizational networks at the network level: A review of the empirical literature on whole networks. Journal of Management, 33(3), 479-516. (Article) Rampersad, G., Quester, P., & Troshani, I. (2010). ‘Managing innovation networks: Exploratory evidence from ICT, biotechnology and nanotechnology networks’. Industrial Marketing Management, 39, 793-805. (Article) Reagans, R., & McEvily, B. (2003). Network structure and knowledge transfer: The effects of cohesion and range. Administrative Science Quarterly, 48(2), 240-267. (Article) Rosenkopf, L., & Almeida, P. (2003). Overcoming local search through alliances and mobility. Management Science, 49(6), 751-766. (Article) Rost, K. (2011). The strength of strong ties in the creation of innovation. Research Policy, 40(4), 588-604. (Article) Sarala, R. M., & Vaara, E. (2010). Cultural differences, convergence, and crossvergence as explanations of knowledge transfer in international acquisitions. Journal of International Business Studies, 41(8), 1365-1390. (Article) Sawhney, M., Prandelli, E., & Verona, G. (2002). The power of innomediation. MIT Sloan Management Review, 44(2), 77-82. (Article) Schilling, A., & Phelps, C. (2007). ‘Interfirm Collaboration Networks: The Impact of large-Scale Network Structure on Firm Innovation’. Management Science, 53, 1113-1126. (Article) Shenkar, O. (2001). Cultural distance revisited: Towards a more rigorous conceptualization and measurement of cultural differences. Journal of International Business Studies, 32(3), 519-535. (Article) Soukhoroukova, A., Spann, M., & Skiera, B. (2012). Sourcing, filtering, and evaluating new product ideas: An empirical exploration of the performance of idea markets. Journal of Product Innovation Management, 29(1), 100-112. (Article) Stewart, J., & Hyysalo, S. (2008). Intermediaries, users and social learning in technological innovation. International Journal of Innovation Management, 12(03), 295-325. (Article) Tiwana, A. (2008). ‘Do bridging ties complement strong ties? An empirical examination of alliance ambidexterity’. Strategic Management Journal, 29, 251-272. (Article) Vasudeva, G., & Anand, J. (2011). Unpacking absorptive capacity: A study of knowledge utilization from alliance portfolios. Academy of Management Journal, 54(3), 611-623. (Article) Vasudeva, G., Zaheer, A., & Hernandez, E. (2013). The embeddedness of networks: Institutions, structural holes, and innovativeness in the fuel cell industry. Organization Science, 24(3), 645-663. (Article) Wang, C., Rodan, S., Fruin, M., & Xu, X. (2014). ‘Knowledge networks, collaboration networks and exploratory innovation’. Academy of Management Journal, 57, 484-514. (Article) Zucker, L. G., Darby, M. R., & Brewer, M. B. (1994). Intellectual capital and the birth of US biotechnology enterprises (No. w4653). National Bureau of Economic Research. (Book) Howe, J. (2008). Crowdsourcing: How the power of the crowd is driving the future of business. Random House. (Book) Tidd, J. (2013) Open Innovation Research, Management and Practice. Imperial College Press, London. (Article) Almirall, E., & Casadesus-Masanell, R. (2010). Open versus closed innovation: A model of discovery and divergence, Academy of Management Review, 35(1), 27-47. (Article) Andrew, J. P., & Sirkin, H. L. (2003). Innovating for cash. Harvard Business Review, 81(9), 76-83. (Article) Antons, D., & Piller, F.T. (2015). Opening the black box of “Not Invented Here”: attitudes, decision biases, and behavioral consequences. The Academy of Management Perspectives, 29(2), 193-217. (Article) Baldwin, C., & Von Hippel, E. (2011). Modeling a paradigm shift: From producer innovation to user and open collaborative innovation. Organization Science, 22(6), 1399-1417. (Article) Bayus, B. L. (2013). Crowdsourcing new product ideas over time: An analysis of the Dell IdeaStorm community. Management Science, 59(1), 226-244. (Article) Bogers, M., & West, J. (2012). 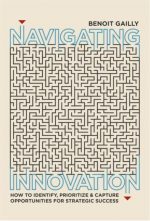 Managing distributed innovation: Strategic utilization of open and user innovation. Creativity and Innovation Management, 21(1), 61-75. (Article) Cassiman, B., & Valentini, G. (2016). ‘Open innovation: are inbound and outbound knowledge flows really complementary?’. Strategic Management Journal, 37, 1034-1046. (Article) Chesbrough, H. (2003). The logic of open innovation: managing intellectual property. California Management Review, 45(3), 33-58. (Article) Chesbrough, H. (2003). The era of open innovation. MIT Sloan Management Review, 44(3), 35-41. (Article) Chesbrough, H. W., & Appleyard, M. M. (2007). Open innovation and strategy. California Management Review, 50(1), 57-76. (Article) Dahlander, L., & Gann, D.M. (2010). How open is innovation?. Research Policy, 39(6), 699-709. (Article) Ebner, W., Leimeister, J. M., & Krcmar, H. (2009). Community engineering for innovations: the ideas competition as a method to nurture a virtual community for innovations. R&D Management, 39(4), 342-356. (Article) Lichtenthaler, U., & Lichtenthaler, E. (2010). Technology transfer across organizational boundaries: absorptive capacity and desorptive capacity. California Management Review, 53(1), 154-170. (Article) Lichtenthaler, U. (2011). Open innovation: Past research, current debates, and future directions. The Academy of Management Perspectives, 25(1), 75-93. (Article) Mazzola, E., Bruccoleri, M., & Perrone, G. (2012). The effect of inbound, outbound and coupled innovation on performance. International Journal of Innovation Management, 16(06), 1240008. (Article) Poetz, M. K., & Schreier, M. (2012). The value of crowdsourcing: can users really compete with professionals in generating new product ideas?. Journal of Product Innovation Management, 29(2), 245-256. (Article) Tatarynowicz, A., Sytch, M., & Gulati, R. (2015). ‘Environmental Demands and the Emergence of Social Structure: Technological Dynamism and Interorganizational Network Forms’. Administrative Science Quarterly, 1-35. (Article) Tortoriello, M. (2015). ‘The social underpinnings of absorptive capacity: the moderating effects of structural holes on innovation generation based on external knowledge’. Strategic Management Journal, 36, 586-597. (Article) Trott, P., & Hartmann, D. A. P. (2009). Why’open innovation’is old wine in new bottles. International Journal of Innovation Management, 13(04), 715-736. (Article) West, J., Salter, A., Vanhaverbeke, W., & Chesbrough, H. (2014) Open innovation: The next decade. Research Policy, 43(5), 805-811. (Book) Archibald, R. D., & Archibald, S. (2016). Leading and Managing Innovation: What Every Executive Team Must Know about Project, Program, and Portfolio Management (Vol. 22). CRC Press. (Book) Williamson, O. E. (1985). The economic intstitutions of capitalism. Simon and Schuster. (Article) Adegbesan, J. A., & Higgins, M. J. (2011). The intra‐alliance division of value created through collaboration. Strategic Management Journal, 32(2), 187-211. (Article) Bahemia, H., & Squire, B. (2010). A contingent perspective of open innovation in new product development projects. International Journal of Innovation Management, 14(04), 603-627. (Article) Bigliardi, B., Ivo Dormio, A., & Galati, F. (2012). The adoption of open innovation within the telecommunication industry. European Journal of Innovation Management, 15(1), 27-54. (Article) Brettel, M., & Cleven, N. J. (2011). Innovation culture, collaboration with external partners and NPD performance. Creativity and Innovation Management, 20(4), 253-272. (Article) Buganza, T., Chiaroni, D., Colombo, G., & Frattini, F. (2011). Organisational implications of open innovation: an analysis of inter-industry patterns. International Journal of Innovation Management, 15(02), 423-455. (Article) Chesbrough, H. (2004). Managing open innovation. Research-Technology Management, 47(1), 23-26. (Article) Chesbrough, H., & Brunswicker, S. (2014). A fad or a phenomenon? : The adoption of open innovation practices in large firms. Research-Technology Management, 57(2), 16-25. (Article) Chesbrough, H., & Crowther, A. K. (2006). Beyond high tech: early adopters of open innovation in other industries. R&D Management, 36(3), 229-236. (Article) Dodgson, M., Gann, D., & Salter, A. (2006). The role of technology in the shift towards open innovation: the case of Procter & Gamble. R&D Management, 36(3), 333-346. (Article) Drechsler, W., & Natter, M. (2012). Understanding a firm’s openness decisions in innovation. Journal of Business Research, 65(3), 438-445. (Article) Dyer, J. H., & Nobeoka, K. (2000). Creating and managing a high‐performance knowledge‐sharing network: the Toyota case. Strategic Management Journal, 21(3), 345-367. (Article) Fabrizio, K. R. (2009). Absorptive capacity and the search for innovation. Research Policy, 38(2), 255-267. (Article) Felin, T., & Zenger, T. R. (2014). Closed or open innovation? Problem solving and the governance choice. Research Policy, 43(5), 914-925. (Article) Gilson, R., Sabel, C., & Scott, R. (2009). ‘Contracting for Innovation: Vertical Disintegration and Interfirm Collaboration’. Columbia Law Review, 109, 431-502. (Article) Ghoshal, S., & Moran, P. (1996). Bad for practice: A critique of the transaction cost theory. Academy of Management Review, 21(1), 13-47. (Article) Hernández-Espallardo, M., Sánchez-Pérez, M., & Segovia-López, C. (2011). Exploitation-and exploration-based innovations: the role of knowledge in inter-firm relationships with distributors. Technovation, 31(5-6), 203-215. (Article) Hoegl, M., Lichtenthaler, U., & Muethel, M. (2011). Is your company ready for open innovation?. MIT Sloan Management Review, 53(1), 45. (Article) Huston, L., & Sakkab, N. (2006). Connect and develop. Harvard Business Review, 84(3), 58-66. (Article) Keupp, M.M., & Gassmann, O. (2009). Determinants and archetype users of open innovation. R&D Management, 39(4), 331-341. (Article) King, A., & Lakhani, K. R. (2013). Using open innovation to identify the best ideas. MIT Sloan Management Review, 55(1), 41. (Article) Lambe, C. J., Morgan, R. E., Sheng, S., & Kutwaroo, G. (2009). Alliance-based new product development success: The role of formalization in exploration and exploitation contexts. Journal of Business-to-Business Marketing, 16(3), 242-275. (Article) Lichtenthaler, U., & Lichtenthaler, E. (2009). A capability‐based framework for open innovation: Complementing absorptive capacity. Journal of Management Studies, 46(8), 1315-1338. (Article) Lichtenthaler, U., Ernst, H., & Hoegl, M. (2010). Not-sold-here: how attitudes influence external knowledge exploitation. Organization Science, 21(5), 1054-1071. (Article) Lopez-Vega, H., Tell, F., & Vanhaverbeke, W. (2016). Where and how to search? Search paths in open innovation. Research Policy, 45(1), 125-136. (Article) Lumineau, F., & Oxley, J.E. (2012). Let’s work it out (or we’ll see you in court): litigation and private dispute resolution in vertical exchange relationships. Organization Science, 23(3), 820-834. (Article) Maietta, O. (2015). ‘Determinants of university-firm R&D collaboration and its impact on innovation: A perspective from a low-tech industry’. Research Policy, 44, 1341-1359. (Article) Miotti, Luis, and Frédérique Sachwald (2003) “Co-operative R&D: why and with whom? : An integrated framework of analysis.” Research Policy, 32(8), 1481-1499. (Article) Nieto, M.J., & Santamaría, L. (2010). Technological collaboration: Bridging the innovation gap between small and large firms*. Journal of Small Business Management, 48(1), 44-69. (Article) Ouchi, W. G. (1980). Markets, bureaucracies, and clans. Administrative Science Quarterly, 129-141. (Article) Reuer, J.J., Ariño, A., & Mellewigt, T. (2006). Entrepreneurial alliances as contractual forms. Journal of Business Venturing, 21(3), 306-325. (Article) Reuer, J. J., Zollo, M., & Singh, H. (2002). Post‐formation dynamics in strategic alliances. Strategic Management Journal, 23(2), 135-151. (Article) Ritala, P., & Hurmelinna-Laukkanen, P. (2009). What’s in it for me? Creating and appropriating value in innovation-related coopetition. Technovation, 29(12), 819-828. (Article) Ritala, P., & Hurmelinna‐Laukkanen, P. (2013). Incremental and radical innovation in coopetition—The role of absorptive capacity and appropriability. Journal of Product Innovation Management, 30(1), 154-169. (Article) Rohrbeck, R., Hölzle, K., & Gemünden, H. G. (2009). Opening up for competitive advantage–How Deutsche Telekom creates an open innovation ecosystem. R&D Management, 39(4), 420-430. (Article) Rothaermel, F. T., & Deeds, D. L. (2006). Alliance type, alliance experience and alliance management capability in high-technology ventures. Journal of Business Venturing, 21(4), 429-460. (Article) Saebi, T., & Foss, N. J. (2015). Business models for open innovation: Matching heterogeneous open innovation strategies with business model dimensions. European Management Journal, 33(3), 201-213. (Article) Salter, A., Criscuolo, P., & Ter Wal, A.L. (2014). Coping with open innovation. California Management Review, 56(2), 77-94. (Article) Schreiner, M., Kale, P., & Corsten, D. (2009). What really is alliance management capability and how does it impact alliance outcomes and success?. Strategic Management Journal, 30(13), 1395-1419. (Article) Valkokari, Katri, et al. “Orchestrating Innovation Ecosystems: A Qualitative Analysis of Ecosystem Positioning Strategies.” Technology Innovation Management Review 7.3 (2017). (Article) West, J., & Gallagher, S. (2006). Challenges of open innovation: the paradox of firm investment in open‐source software. R&D Management, 36(3), 319-331. (Article) Williamson, O. E. (1981). The economics of organization: The transaction cost approach. American Journal of Sociology, 87(3), 548-577. (Article) Zheng, Y., & Yang, H. (2015). 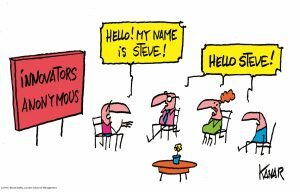 ‘Does Familiarity Foster Innovation? The Impact of Alliance Partner Repeatedness on Breakthrough Innovations’. Journal of Management Studies, 52, 213-230.